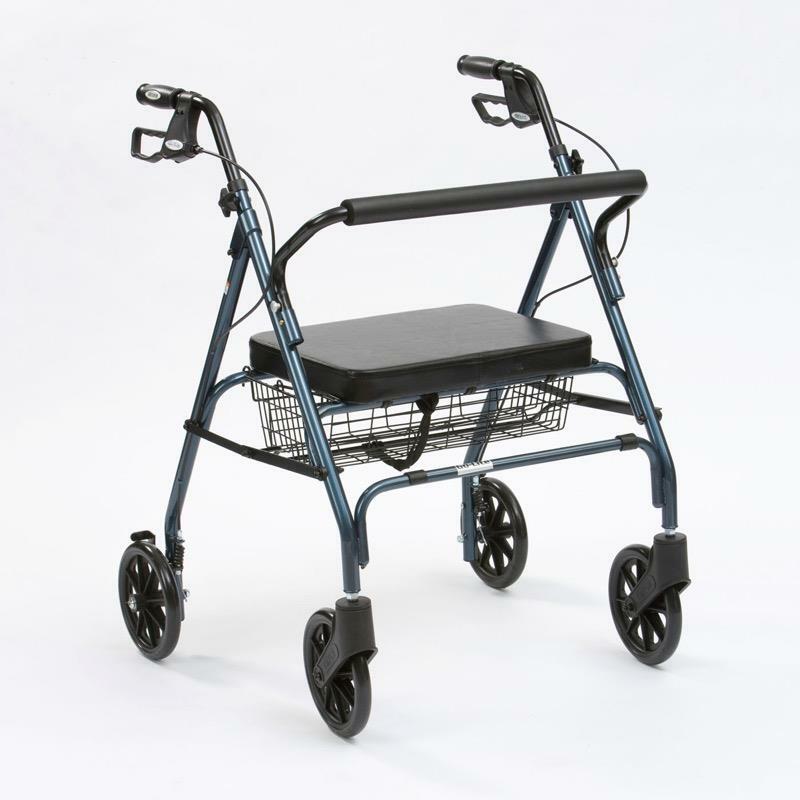 This easy to operate rollator has been designed for the larger user to increase their sense of security and safety. This easy to operate rollator has been designed for the larger user to increase their sense of security and safety. It features an arthritic loop brake system and hand grips and is fitted with solid tyres. The handle height can easily be adjusted and the rollator folds for easy storage. The backrest, seat and basket are all included. Available in metallic blue or red.